Philippines government and communist rebel negotiators have agreed to an interim joint ceasefire but one that will only take effect once guidelines and rules are finalised, an official said, on Thursday. “The agreement was reached after three days of “not-so-easy exchanges and difficult meetings” in the Netherlands,’’ presidential peace adviser Jesus Dureza said. Dureza said the two sides also agreed to hold the next round of peace talks at the end of May. In the agreement, the two sides also affirmed that they would work on generating “goodwill and trust” in the negotiations and forging “a more stable and comprehensive” ceasefire agreement. The National Democratic Front, the political arm of the rebel group the Communist Party of the Philippines, said the ceasefire guidelines would be drafted by committees from both sides. “The prospective ceasefire’s guidelines and ground rules shall include an agreement on what constitutes prohibited, hostile and provocative acts. “They will also provide for a ceasefire monitoring and verification mechanism to oversee the ceasefire’s implementation and handle complaints and alleged violations,’’ it added. 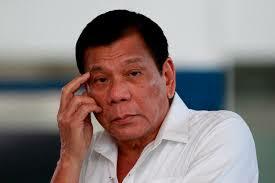 President Rodrigo Duterte had scrapped peace talks with the rebels in February after a series of deadly attacks by the guerrillas on government forces.